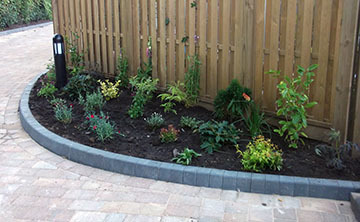 There are so many options for your overall look: we can help you decide if you want a contemporary or cottage garden effect... perhaps you are looking for low maintenance with raised beds and weed reducing areas of bark or slate. 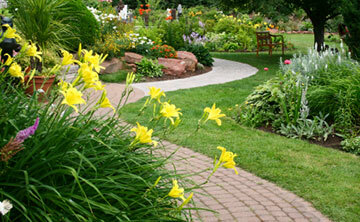 Maybe you’d like to create boundaries or define areas within the garden using fences, trellis or hedging. Specimen trees, all-year-round colour, sensory or scented planting, relaxing ponds (including fish or fountains!) can all be part of the mix. And then there are the structures... greenhouses and gazebos, patios and pergolas, decking and dovecots. We can even put in the footings for your conservatory or shed. Whatever your dream, why not give Advantage a call – and see it grow into reality!